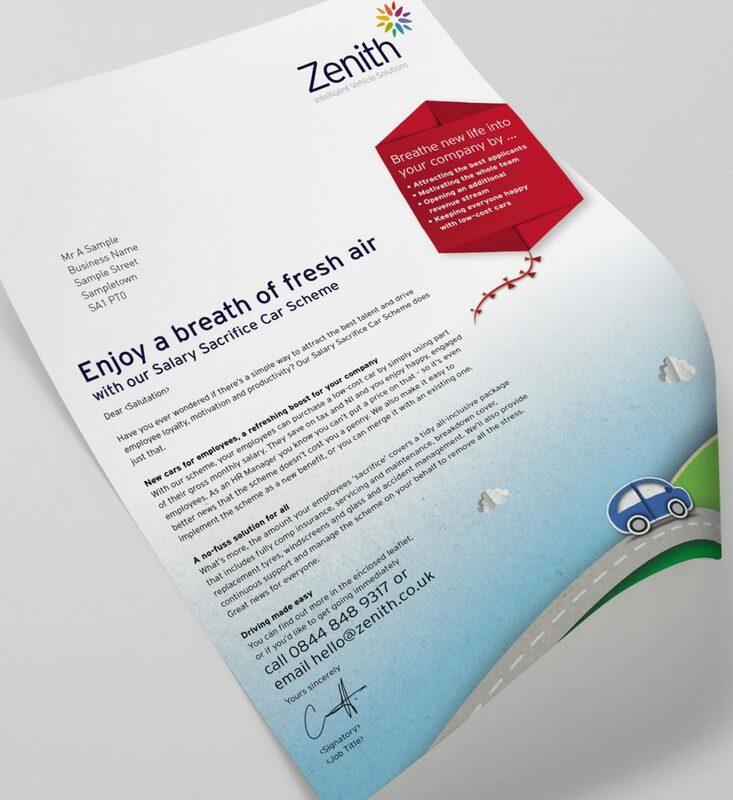 Zenith is one of the leading names the fleet and contract hire market. Recently purchased by a private equity group, they had acquired a similar sized business with a complimentary product set – one of which was Salary Sacrifice. 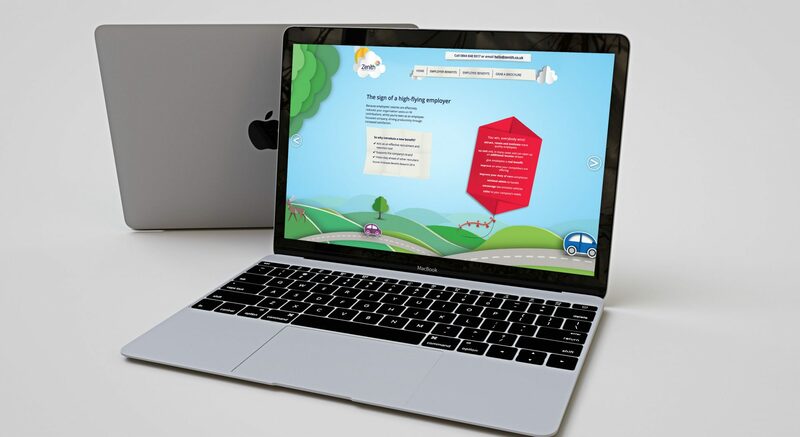 Jump were asked to reposition and relaunch this product to both new and existing customers. In working out the right proposition for this campaign, we focussed on Zenith’s unique technology platform and award-winning customer service. 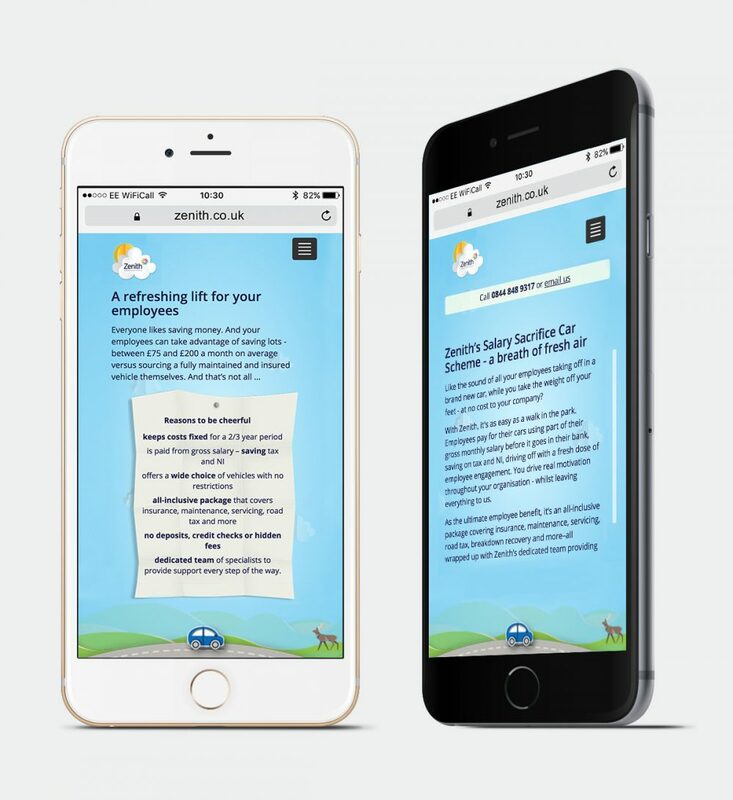 We developed a proposition to position the product as not only being new and innovative, but also that could deliver massive benefits to a business, employees and drivers alike: ‘The car scheme that’s a breath of fresh air’. 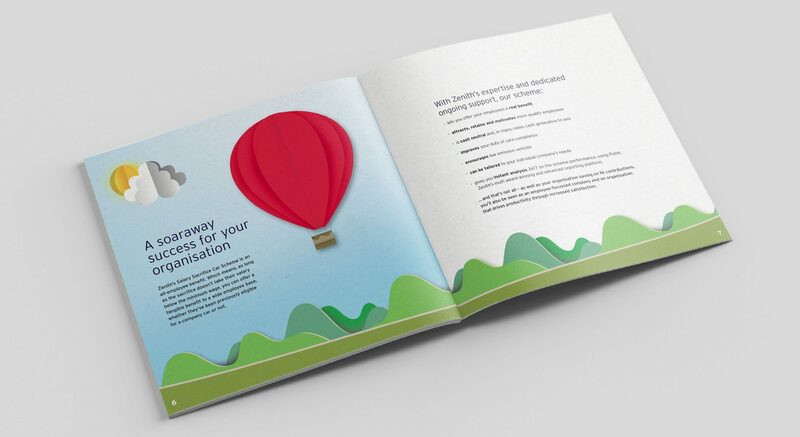 Engaging with multiple audiences, including business leaders, HR directors, managers and employees, Fresh Air was implemented and integrated with a bespoke microsite, through direct mail, email, online advertising and events.